It’s 2016 and, the problems I wrote about last year still exist, and will continue to exist, for the next 18,000 years, if my prediction is right. Why? Because we’re careless at the wrong times. But, wait. Is there ever a right time to be careless? 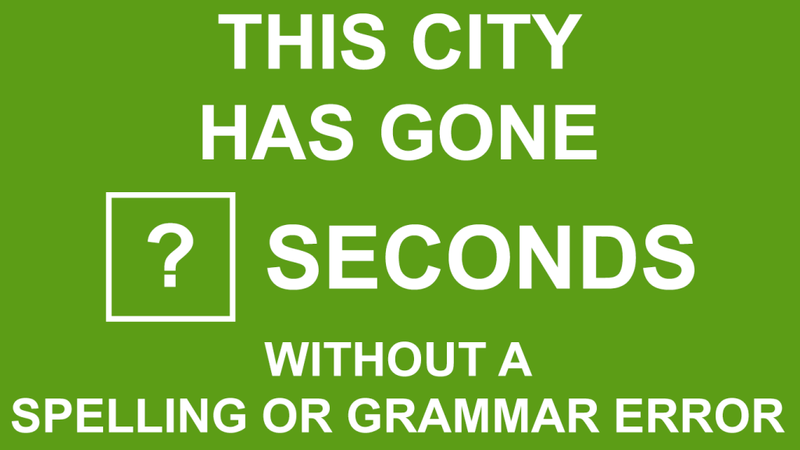 In general, the answer is no, however, there are many times when it’s acceptable. This blog post, for example, is a good time I can be careless because I’m not getting paid for this nor am I’m using this as a platform to prove anything to anyone. It’s just a platform to vent. And I like venting about carelessness throughout the various media organizations in our lovely city of New Orleans. Many of my personal social media posts and comments are careless and have errors but, again, I’m not getting paid for them. With that said, I’ll continue with where I left off last year. Here are some examples of inappropriate times to be careless. These are times when you’re getting paid decent money to do a job (also when thousands, if not millions are watching). I’ll present them from the most trivial to the big “OMG” at the end. 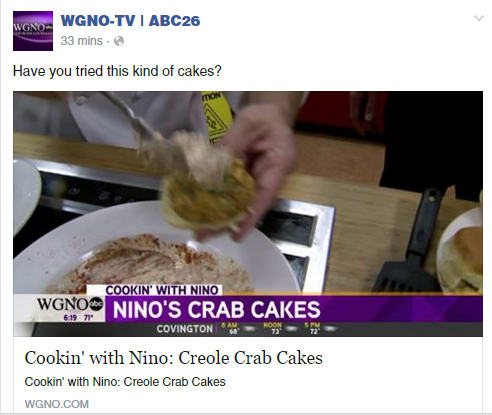 This year, WDSU seems like they want to take the crown away from WGNO with their own flurry of follies. These are just simple omissions of words or typos but, really, as a paid professional, can’t you take an 10 extra seconds to double-check your work? 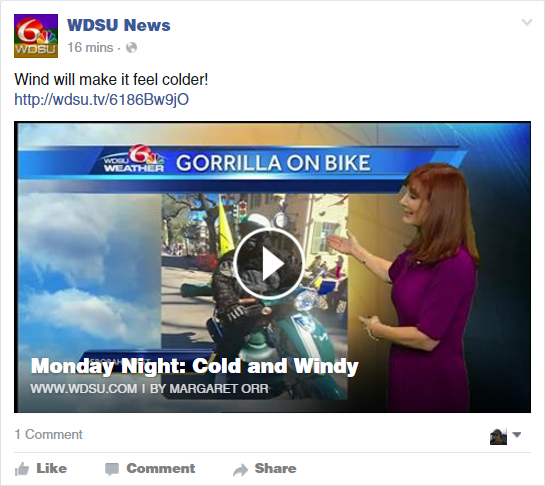 THIS one, also from WDSU, was not only displayed on their Facebook page but, apparently, on air. The ones shown on TV are my favorite. How do you spell “gorilla“? 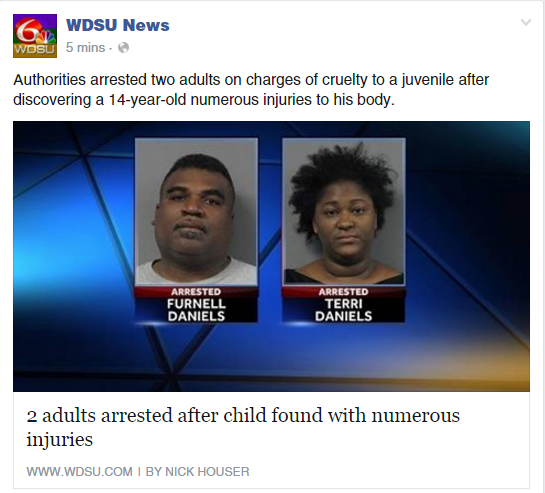 Here’s a gem from WWL. I saw this one on their late newscast but could not get my phone camera on in time to get a picture of it. 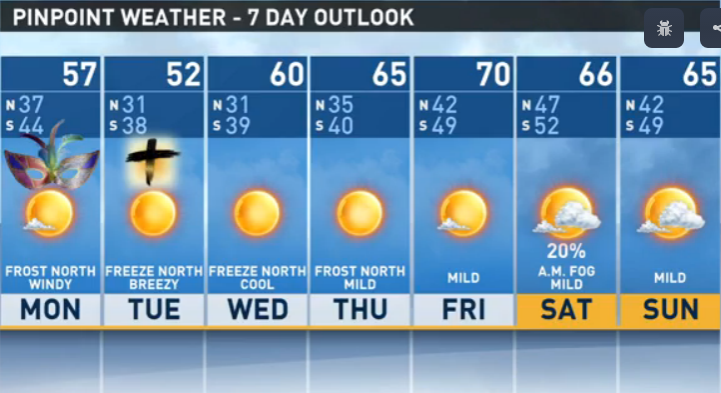 Luckily I found a video of the weather forecast that also used the same graphic which has two glaring mistakes. 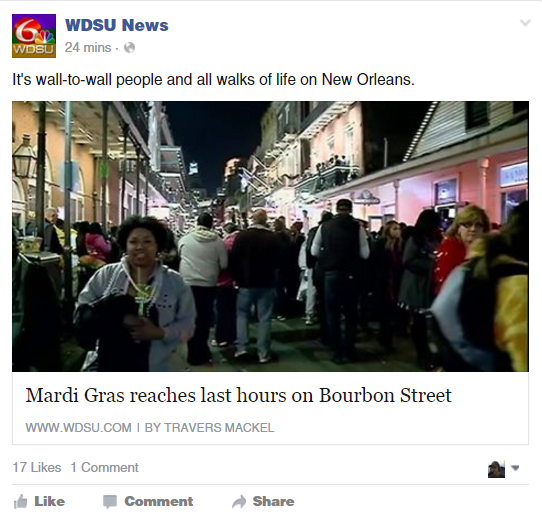 Look at which days they have the Mardi Gras and Ash Wednesday graphics on. Lastly, I’m sure many have seen the recent front page mega-screw-up in the Times-Picayune. Just in case you haven’t, here it is. 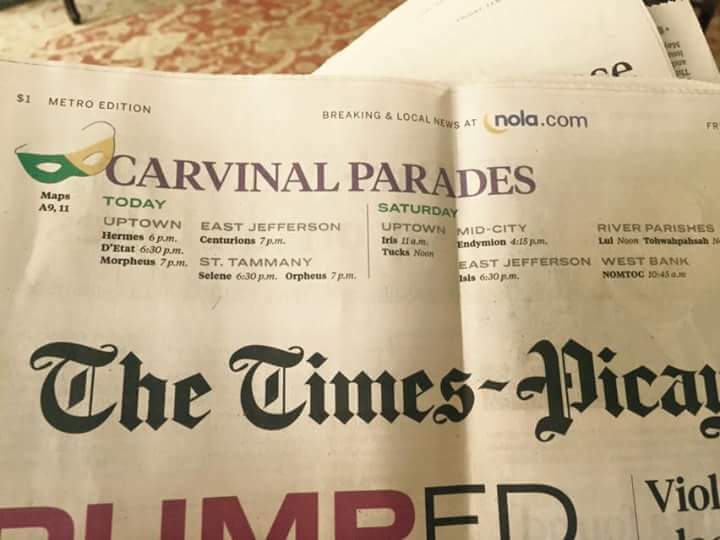 How does a newspaper, in New Orleans, misspell “Carnival”? No, this is not an attack on my city. I love it. But, it is an attack on the constant mediocrity I see across our major media outlets. I would love to have a job proofreading everything they published. This one is not from NOLA but recently published somewhere. I don’t know the source paper. It’s still quite funny. 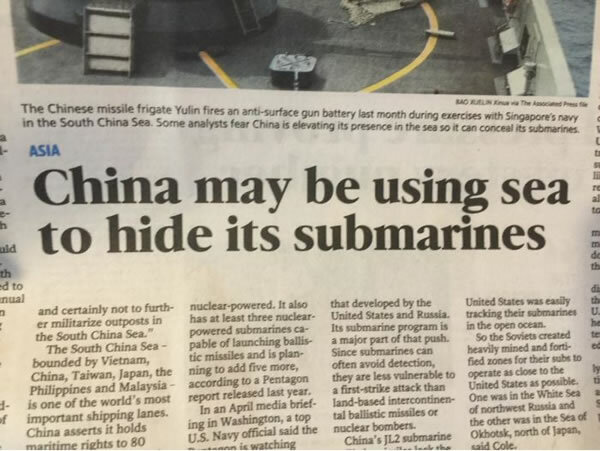 From the “Captain Obvious” files.